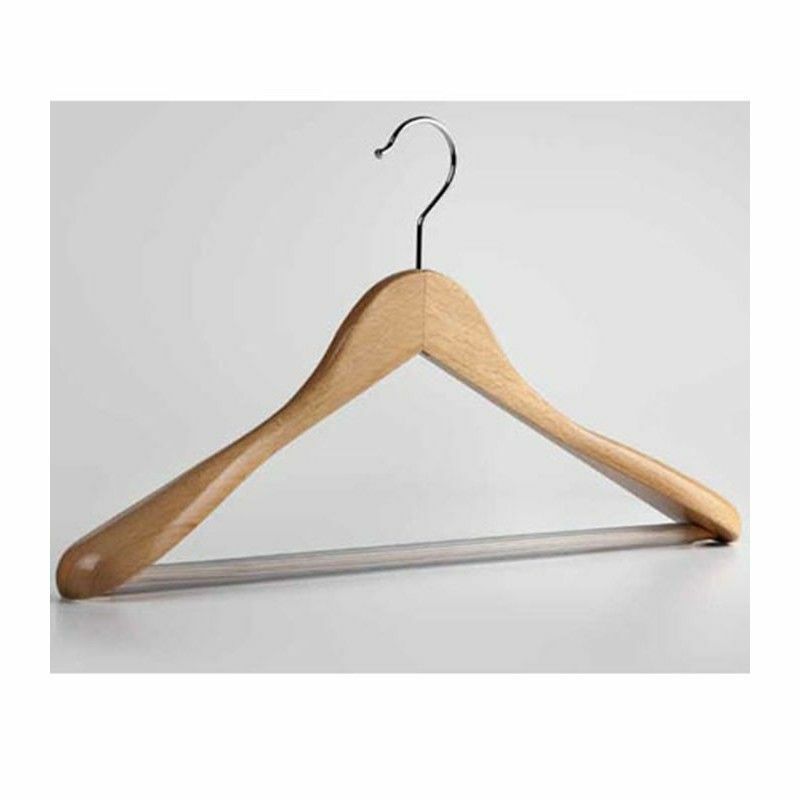 Strong, noble and natural, our hangers wooden Beech add value to your clothes, you have built a store of ready-to-wear classic or high-end. Hangers wholesale hangers in small quantities, natural wooden hanger, it can make your clothes look trendy thanks to its curved shape and bar. At Mannequins Online you are sure to find the hangers you need to hang clothes on the wardrobes of your layout systems. If you want another color of do not hesitate to contact our customer service.